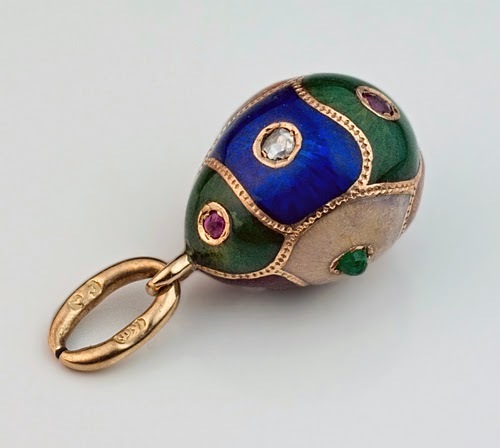 There are still many Fabergé egg pendants out there. So here comes another one! This one is very colorful, and was made around the year 1890! 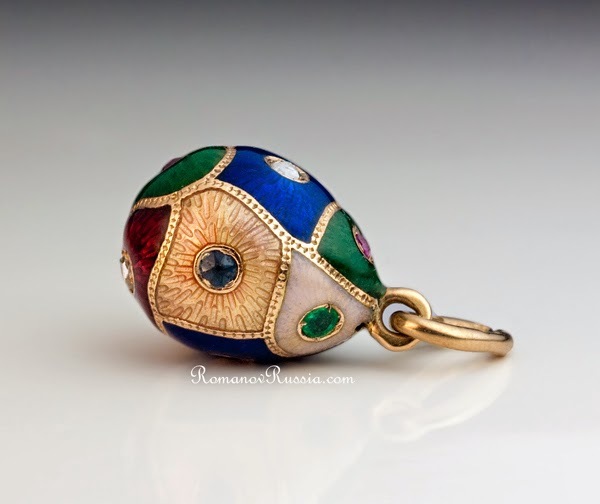 The egg is covered in different colored enamel over a guilloché ground. The color fields are separated by gold lines. 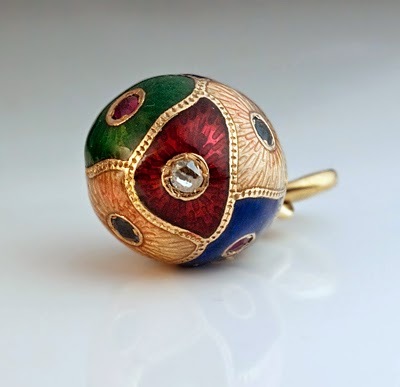 In the center of each color field sits either a rose-cut diamond, a sapphire, a ruby, or an emerald - all framed in gold.